Katsouni beach (or Agalianos) is located 40km south of Rethymno town, between the beautiful beaches of Ligres and Agia Fotini. The beach is completely unorganised. There are a few rooms and tavernas in Ligres and Agia Fotini. 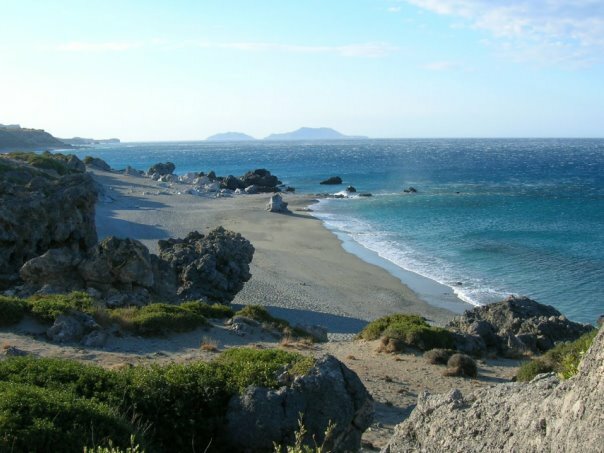 Katsouni or Agalianos is a lovely sandy beach with crystal clear waters, situated just west of the long Ligres beach. It is surrounded by towering rocks, making it an ideal destination for naturists and those who prefer seclusion. Katsouni beach is accessible only by rented cars and motorbikes. It can be reached either on foot by heading west from the nearby Glima beach or from Ligres beach.